Welcome to 27 Ironside Street, this sensational architectural home is a great representation of exciting family living and incredibly Real Estate opportunity. The property has been tastefully renovated to incorporate luxurious, modern touches mixed with the classic architecture of the original home. 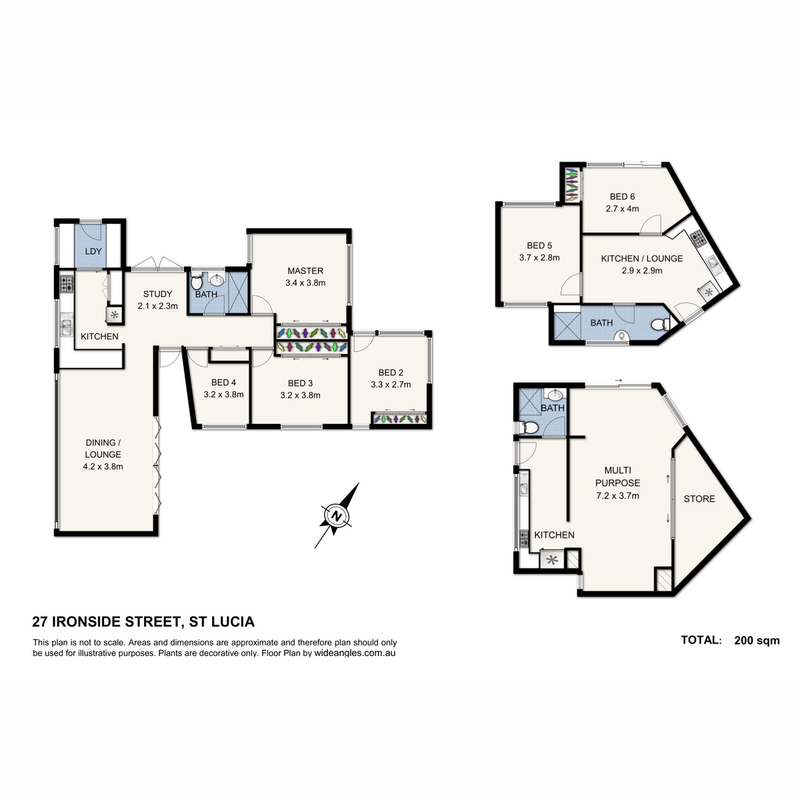 The four bedrooms flow seamlessly together, with the kitchen boasting high quality appliances, caesar stone bench tops, soft close drawers and loads of storage space. Your family and friends will enjoy the space and privacy on offer with a stunning terrace set amongst the tree tops, the atmosphere is breathtaking. The second property can be used as a guest or teenage retreat, which is separate to the main home. The top level offers 2 bedrooms, a kitchenette, living area and a shared bathroom. The ground level can be used as a multi purpose room, home office space or a games room. It also features a private grassed area, kitchenette and bathroom. You don’t want to miss out on this golden opportunity! The potential rental return from the second property is $750 per week, the University of Queensland, local schools, trendy cafes and state of the art shopping precincts are all at your door step. When you walk and drive around the area, you see stunning glimpses of incredible Brisbane City. This is blue chip Real Estate in Brisbane and a rare opportunity.